It's been a while since I've posted about FingerPaints. This set is absolutely gorgeous! I hope you find a favorite here! Come check out the Once in a Wild collection! Vermillion $ Painting is a fiery orange shade with a lot of shimmer happening. 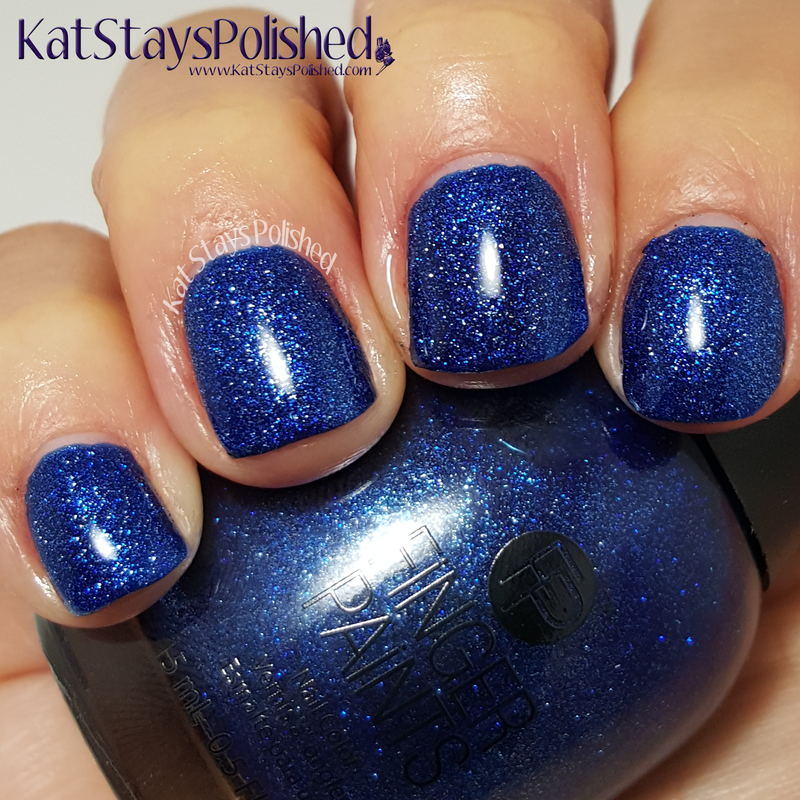 It's a very glossy shimmer and really stands out on the nail. Shown is 2 coats and top coat. Titian Tint is sort of a rose gold shade. To me I only see a slight hint of rose in this gold. I still love it - the metallic in this is just beautiful! This is 2 coats and top coat. Once in a Wild is a super gorgeous glitter polish full of pinks and purples. I actually really enjoyed this color - a lot more than i thought I would. I applied 2 coats and top coat. 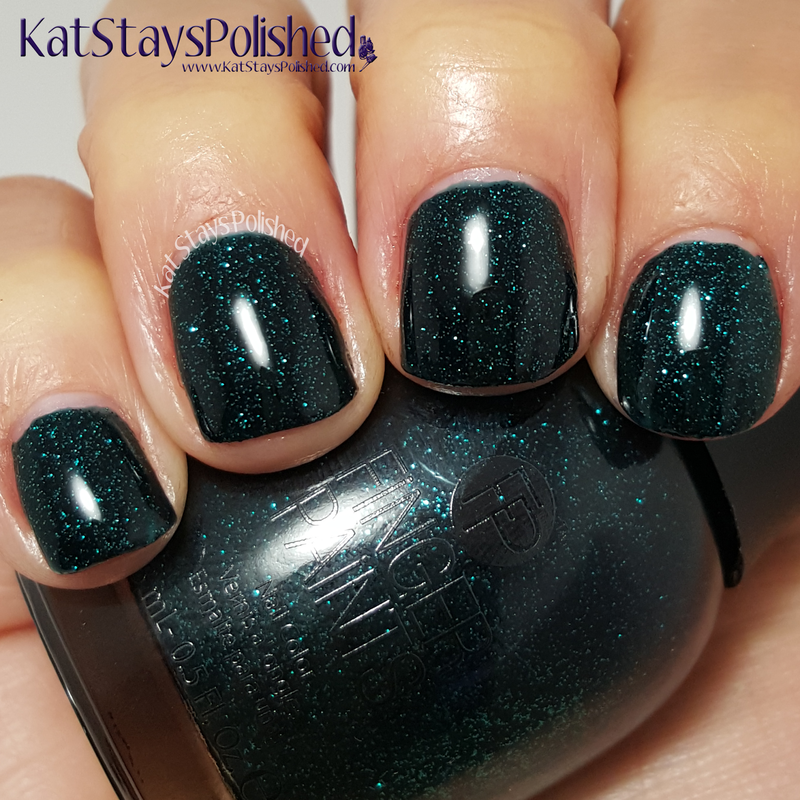 This shade is great for the Fall or the Winter. 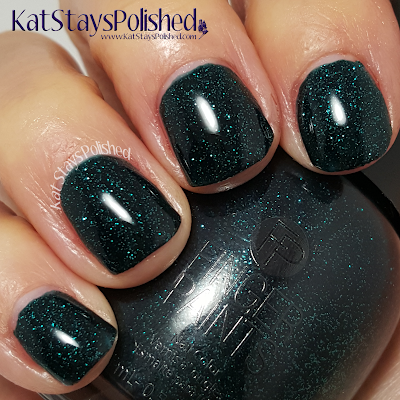 Exotic Emerald is a deep green shade with sparkling emerald glitters. I cannot get over how stupid gorgeous this is. I want to wear it forever! This is 2 coats and top coat. Amazon Sky - yes, all the yes! 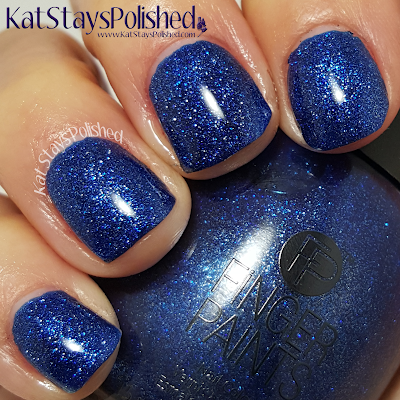 So sparkly and so blue! Totally like a midnight sky! This is 2 coats and top coat. Lastly, there is Amethyst Accent- a shimmery and slightly glittery jewel-tone purple. I absolutely love this shade - where are my purple lovers? This is 2 coats and top coat. Were you able to snag these? Not sure if they're still available but if you can find them, they'll be at Sally Beauty stores and online starting $5.49. I really like Once In A Wold. Very pretty color. Once in a Wild looks like my dream shade! This is a pretty collection. Beautiful jewel tones and that fleck shimmah! These are beautiful especially the emerald. I need to check my local Sally's and see if they're still available. Those are some seriously gorgeous colors! I am loving Once in a Wild and the blue and the purple. This is definitely a beautiful collection. I really love Amethyst Accent! wow, the emerald is So pretty!! Exotic Emerald and Vermillion are my FAVES! So beautiful!! !